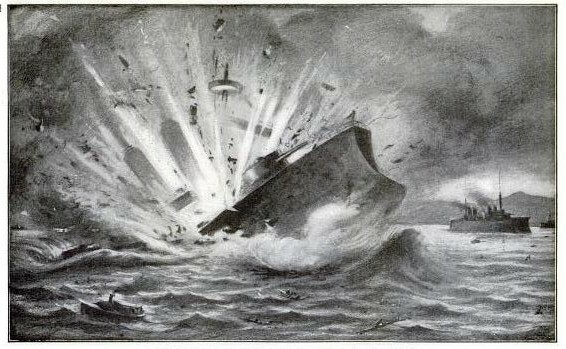 Early on the morning of September 25, 1911, the citizens of Toulon were awakened to a series of violent explosions that rocked the city’s naval base. Four small explosions followed by a massive fifth one aboard the French battleship Liberte rent the ship asunder. Wreckage from the ship was hurled as far as a mile away and several small craft in the harbor were damaged or sunk. In total 250 men lost their lives in the disaster including the commander of a vessel anchored a mile away. Subsequent investigation (this was only the latest in a series of disastrous explosions over the last four years) found that the fire was caused by defective “B” powder. 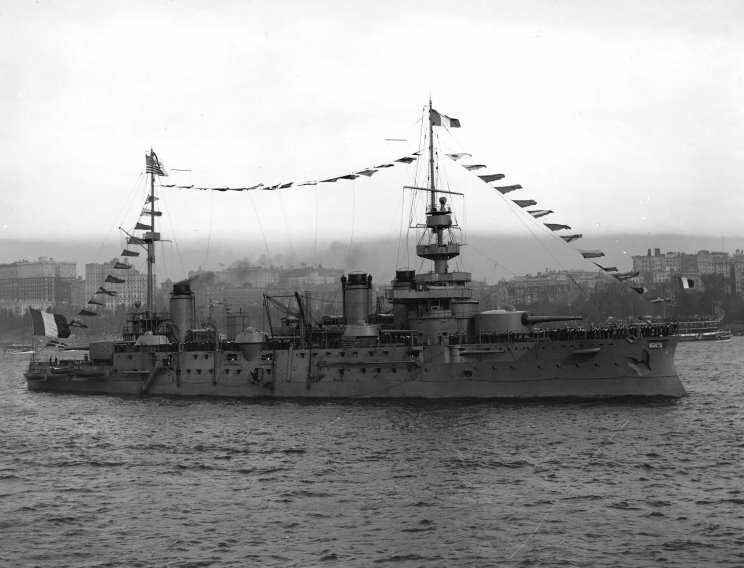 The same powder caused explosions aboard the battleship Patrie that thankfully were not fatal to the vessel. In addition to destroying the Liberte, the explosion put three other battleships out of commission for an extended period: the Verite, Republique and Democratie. 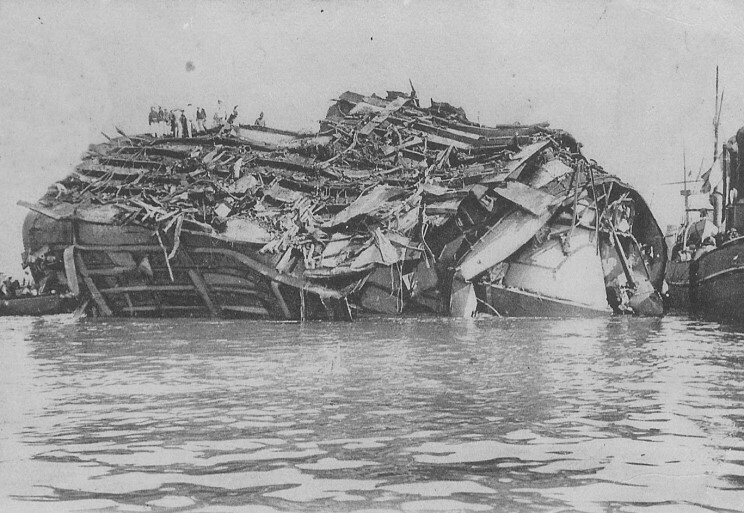 The wreck of the Patrie remained in Toulon harbor until the mid-1920s when it was broken up for scrap.